Saudi, Emirati and Yemeni military forces are set to conduct joint exercises on the island, which is listed as a world natural heritage site, AP reported, citing a spokesperson for the Saudi-led coalition. Saudi troops have arrived on the Yemeni island of Socotra, the AP news agency reported Sunday, citing a spokesman for the Saudi-led coalition Turki al-Malki. 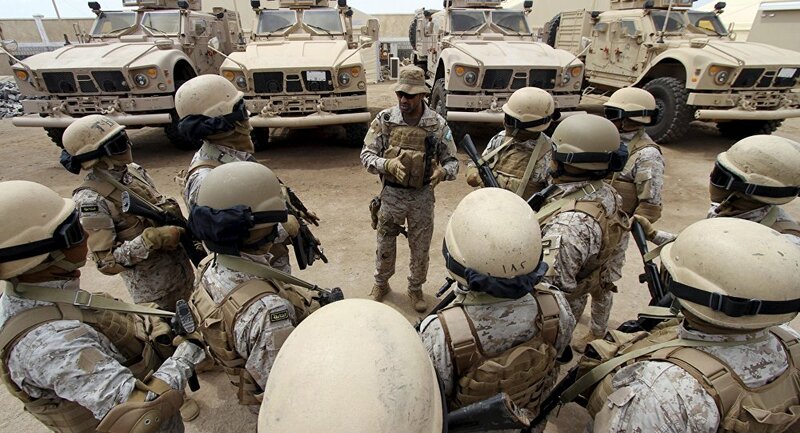 According to him, Saudi forces are set to conduct joint training drills with the UAE and Yemeni forces, in coordination with the Yemeni government. The island of Socotra, listed by UNESCO as a world natural heritage site, has become the core of the dispute between Yemen and the Saudi-allied United Arab Emirates, which reportedly deployed their forces in the area earlier this the month. The Yemeni island of Socotra, listed by UNESCO as a world natural heritage site and the focus of a dispute between Yemen and its ally the United Arab Emirates. ​Reacting to the deployment, the Yemeni government has accused the UAE of attempts to "colonize" the country, al-Jazeera reported recently. Chanting "Yemeni unity", a protest in Hadibu, #Socotra in solidarity w #Yemen gov against #UAE deployment of Emirati troops on the strategic island in the Arabian Sea. Why can't all the protests in the Arab world be like this?